Videos, interviews, podcasts, recipes, and lots of resources to help you when you’re just not losing weight even while on keto. Overwhelmed? Frustrated? Tempted to give up on this whole low-carb high-fat lifestyle? Don’t you dare… at least not without checking out all of these helpful resources first. In this post, I’ve included LOTS of resources that are all super helpful in explaining why you might be gaining weight or stuck in a weight-loss plateau, and how to get out of it. This extensive collection of resources is awesome if you are frustrated with weight gain while on keto, you are just stuck in a “no-man’s land” even though you’re doing everything you can think of to lose weight, overwhelmed with counting all your calories every day, or simply interested in starting out on keto. Wherever you are, there is definitely something in these resources that can benefit you. So go ahead and check them out! If you find something that helps you, please let me know in the comments! What if I told you that the plateau you’re experiencing – the inability to lose weight, the ongoing struggle of doing everything in your power to lose weight, resulting in nothing, has nothing to do with calories? A must-watch if you’re frustrated with feeling like you can’t lose weight, lower calories, restrict even more, and the scale doesn’t budge. Fat Fueled is a one-of-a-kind support system that shows you exactly how to achieve hormone regulation, balanced moods, increased energy… while eating fats and following a keto diet! Liberate your keto life from restriction and macronutrient manipulation. 20 chapters, 137 actionable guides, 300 pages, mindful meal plan, and over 60 keto, high-fat recipes that are free from wheat, dairy, grains, gluten, legumes, sugar, and low in eggs, nuts and FODMAPs to uncover your best self by fueling, and healing, with fat. There is even a whole chapter all about weight gain and plateaus! It explains various reasons why you may be gaining weight on keto. Get Fat Fueled and start living life to the fullest! There are several possible factors that could affect your weight loss besides the food you eat. In this podcast, Amber and I discuss how hormones could be the thing keeping you from your weight loss goals, as well as a few strategies that could help you get out of the weight stalling funk. 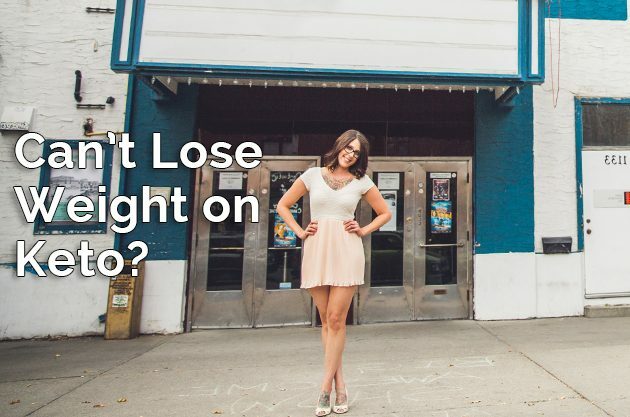 This interview with Vivica from The Nourished Caveman is full of helpful information that will show you the true reasons behind weight loss stalls on a ketogenic diet and how to break out of those plateaus! Counting calories… is it worth it? This is a keto podcast answering your questions about un-welcomed weight gain on keto, overcoming the control of calorie counting, and keeping a regular cycle after amenorrhea. If you’ve been frustrated by any of these situations, then sit back and listen to us chat about our own experiences and thoughts about these topics. An epic keto Q&A with Nutrition Educator Leanne Vogel and guest, answering your questions about hormones, weight loss and how it relates to high-fat, keto living. There’s so much more to achieving blissful health than sticking to a meal plan and sweating it out at the gym 5 days a week. If our hormones are out of whack, much of our effort goes out the window. (Hint: if you live on the planet Earth, it’s likely that your hormones could use some TLC). Find answers to your high-fat, low-carb, and keto questions in past keto question and answer sessions. Also, don’t forget to subscribe to my YouTube channel for weekly videos posted every Wednesday! Which video, podcast, or resource was the most helpful or interesting? What was the most surprising thing you learned? Let me know on social!